There’s a race I’m contemplating for 2018 and the first thing I saw when I looked at the course map (always look!) was the damn Harlem Hills. 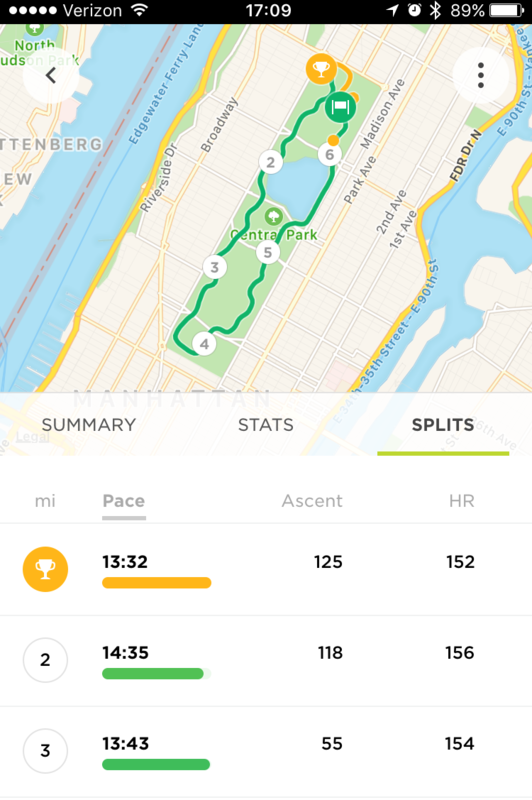 They’re a little mythical to me at this stage as I’ve only done them twice and the first time was also my first ever 10K-a very bad combo.I decided that if I wanted to do the run I’m thinking of, and/or not dread every single Central Park 10K I needed to face my nemesis. 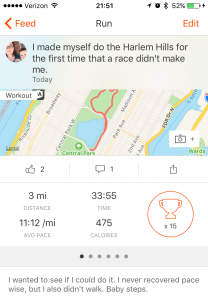 I was feeling particularly strong about this after Thursday’s run wherein Cat Hill was no big thing. I also knew they’d be relatively less crowded than the southern parts of Central Park three weeks out from the marathon. 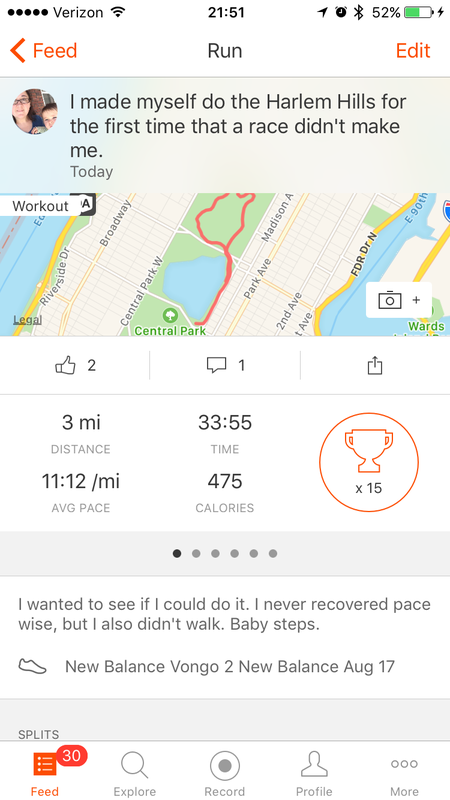 My warmup was my usual brisk walk from 1st to 5th Ave and I ducked into the park at 85th street and headed north. Rather than my usual left turn at 102nd, I took a deep breath and continued north. I was pleasantly surprised. It wasn’t the immediate uphill I remembered in my brain, in fact it was actually downhill behind the rink? Much like when I finally tackled Cat Hill earlier in June I finished thinking “that’s it?” It’s a long stretch and certainly strains the lungs, but it was nowhere near as bad as I remembered when I did that first 10K. 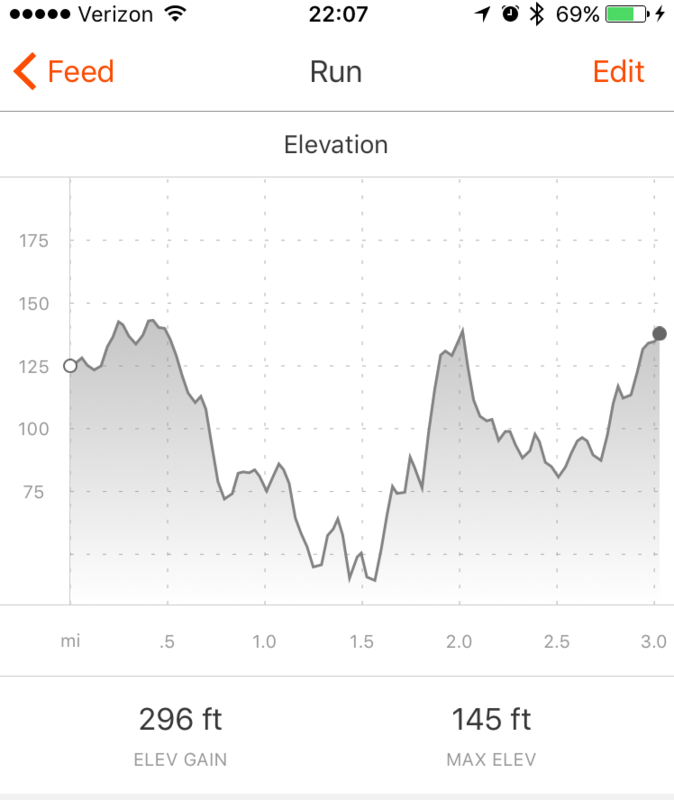 That was just a week or two before the women’s half and I remember thinking I’d never do that — it would mean I’d have to do the hills twice! 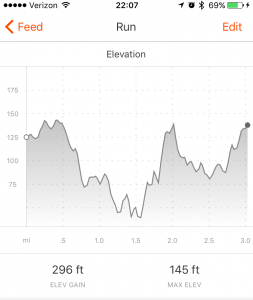 Don’t get me wrong, I think running thirteen miles and doing the hills twice would be brutal, but it’s not the monster it seems. 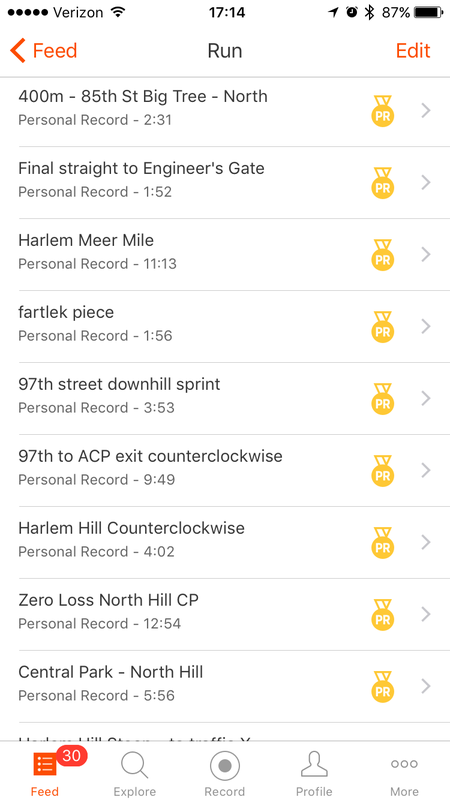 Note to future newbies from this newbie, don’t make a Central Park 10K your first. 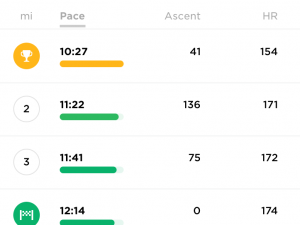 I have to give it more thought and another run clockwise like the Women’s Mini, but I think I like running counter clockwise better. I hit the hills at just past mile one, similar to June on relatively fresh legs and it may be a case of being better trained, but today felt better. 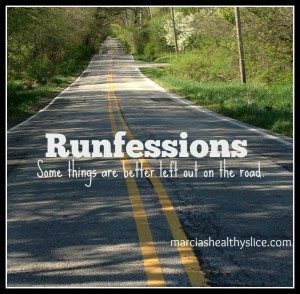 Plus side of also not seeing the runners coming up the hill behind the rink the way you do when running clockwise. Yep, definitely faster. I also didn’t walk at all although I slowed to drink since I still can’t multi task! 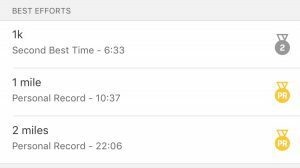 Yes, I’m very happy with how today’s run went. 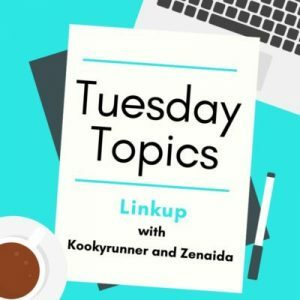 Like Thursday, it made me feel good about some plans I have. 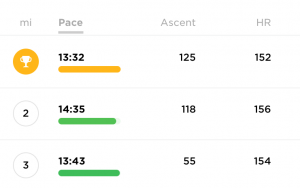 I didn’t have an exact distance in mind today so I decided to listen to my body especially after doing the hills. 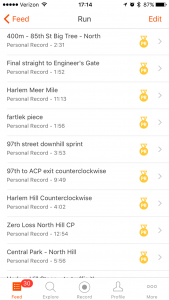 The northern loop is also the one where my achilles has occasionally played up. Lungs and brain (aka mental game) were good. Somewhere I after I crossed 102 heading south though, my hip started to whine. I knew if I zigged around the soccer fields I could get back to start without much issue so I decided to do that. Just north of Engineers’ Gate my hip turned up the whine so I stopped the watch and made my cool down longer. 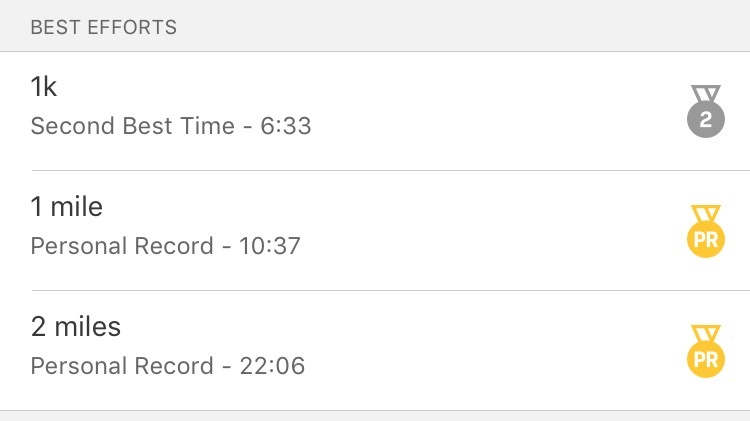 Yep, starting to do more with Strava even though its distance is off. The maps can be good and their segment tracking is amazing. We’ll see how this tracks as I continue to tackle the Hills. Looking forward to tomorrow’s run. As I look at actual training plans I realize I need to do some more training reads. They speak a language I don’t. Well done, and great comparison with March! It takes ages to learn to drink on the run and then I remember my joy when I managed my first gel on the run (I’m still a bit awkward with those on occasion! ).